SANITT is the leading manufacturer, exporter and supplier of PLATFORM TROLLEY which is designed for moving or shifting the materials and goods. It is also known as Multi purpose trolley. 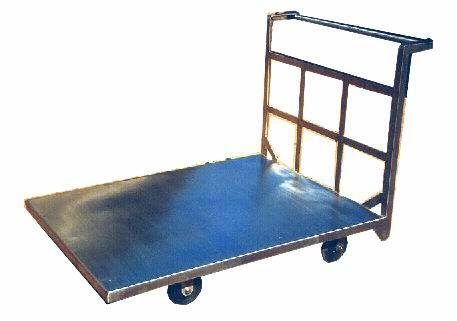 PLATFORM TROLLEY have heavy-duty welded steel deck construction and foldable design also. Material : Stainless Steel 304 quality(Matt/Mirror finish) or Mild steel (Powder coated) material.